If you're a Unicorn fan, you would know they can do more than whinny. 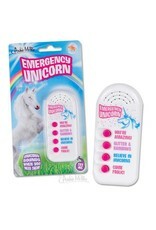 This Emergency Unicorn noisemaker creates whimsical sounds to communicate with them! 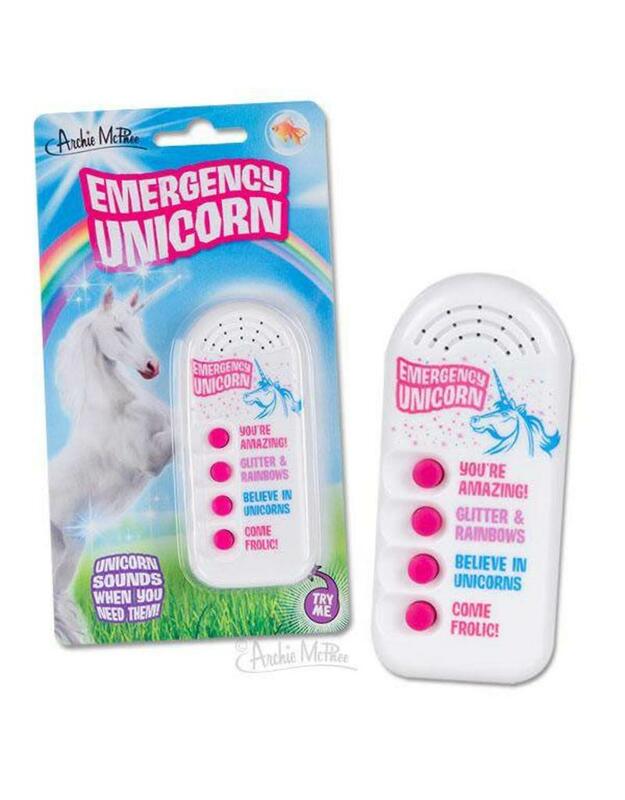 This 3-1/2" electronic noisemaker includes four phrases—You're Amazing, Glitter & Rainbows, Believe in Unicorns and Come Frolic!